A sure garden sign that winter is nearing the end is the flowerring of our first aroid of the year…the lovely and beautiful ….wait, probably not the best choice of words…Symplocarpus foetidus. The flowers of skunk cabbage use thermogenesis to produce enough heat to melt through several feet of snow to allow its fragrance to escape to attract winter pollinators. 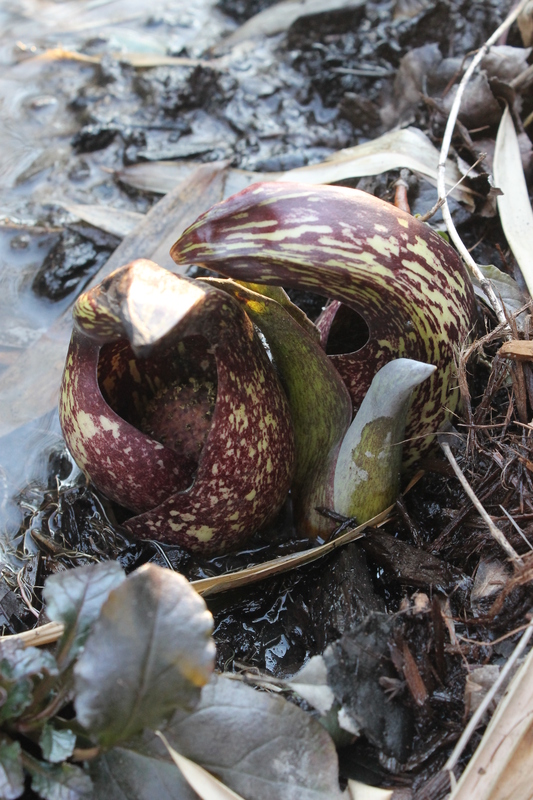 I’ve been googling around looking for a skunk cabbage for my winter-spring mud pit. I should have known to check PDN first. Where can I get this? I know I haven’t seen online or in the catalogue. Exactly how far does the scent travel? I love large foliage. All we need to do is get our garden plants to set seed, unless someone out there has skunk cabbage seed to share.